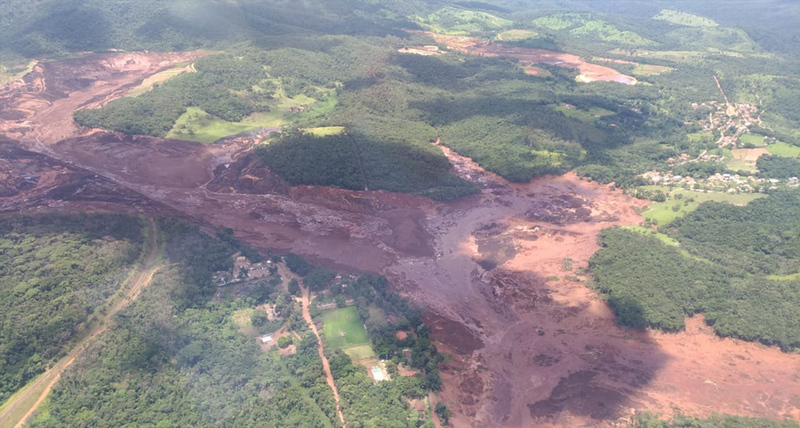 Some 200 people are missing after a dam collapsed at an iron ore mine in south-eastern Brazil, company officials say. The break caused a sea of muddy sludge that buried the dam’s cafeteria where hundreds of workers were eating lunch. 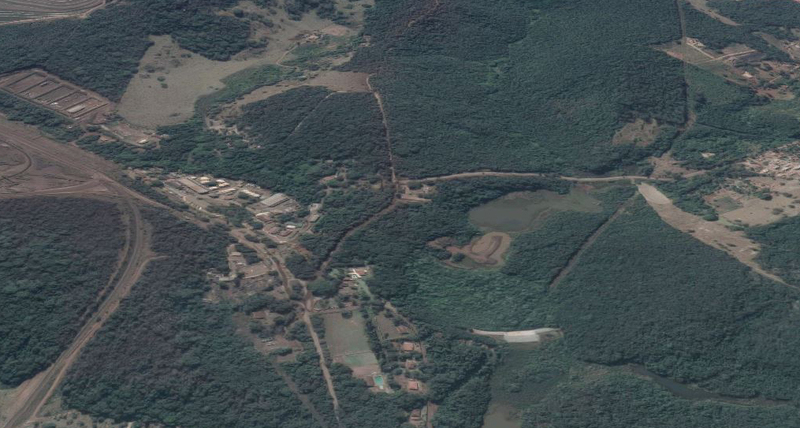 It is not clear what caused the collapse of the dam, owned by Brazil’s largest mining company, Vale. 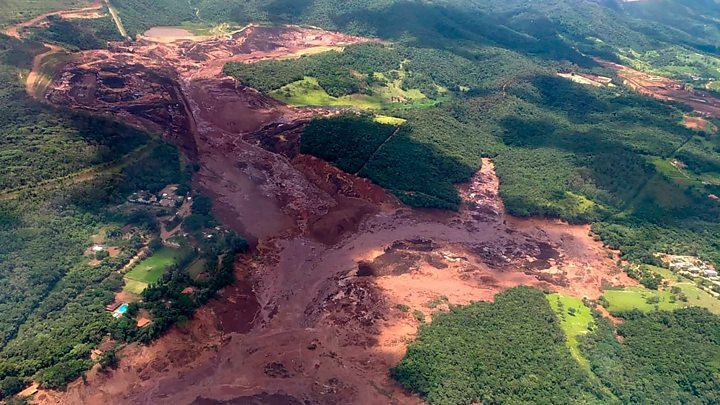 The collapse comes just over three years since a dam burst in Mariana, also in Minas Gerais, killing 19 people, in what is considered Brazil’s worst environmental disaster . The torrent of sludge cut through the dam’s complex, nearby farms and the neighbourhood where many of the workers live, destroying houses and vehicles. Many other residents have been evacuated as a security measure. The company’s chief executive Fabio Schvartsman said only one-third of the roughly 300 workers at the site had been accounted for. Local firefighters said the number of missing in the area could be as many as 300. “I’m anxious, I want news,” 28-year-old Helton Pereira told BBC News Brasil as he waited outside a hospital in nearby Belo Horizonte – his 28-year-old wife and 35-year-old sister worked at the dam’s cafeteria and were both missing. The search is being carried out by 100 firefighters with 100 more expected to join them on Saturday. “From now, the odds are minimal and it’s most likely we’ll recover only bodies,” Gov Zema said. It had capacity for 12m cubic metres and had been an inactive site for three years, Vale said. It is not yet known how much waste was released. President Jair Bolsonaro called it a “serious tragedy” and said he would fly to the affected area on Saturday. “Our main concern at this moment is attending to potential victims of this grave tragedy,” he said on Twitter. The environment, mining and regional development ministers were also travelling to the region. Vale chief executive Fabio Schvartsman called it a “human tragedy” and said a German company, hired to assess the dam, indicated in the most recent report last September that it was stable. The firm said it was monitoring all its other dams. A report by Folha de S.Paulo newspaper said the risk of collapse of the dam had been mentioned in a “tense meeting” that approved its licence last month (in Portuguese).